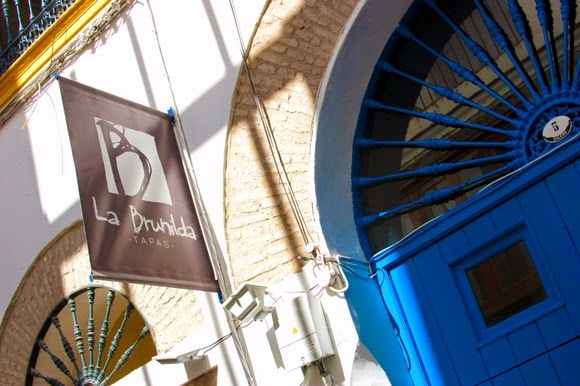 Bacon on the beech: La Brunilda Tapas, Seville. It always feels like a bit of a gamble when you're eating somewhere really very good, to then stop and go onto somewhere else. But we had to check out as many places as we could in just a day. We continued our Seville tapas trail, back over to the El Arenal district from the superb tapas we'd just eaten at PuraTasca. 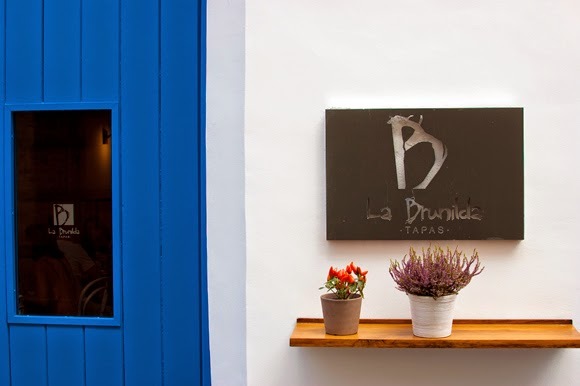 La Brunilda Tapas is in a converted 18th century house and it was totally buzzing when we turned up on Saturday afternoon. We squeezed into a couple of spare stools and ordered. 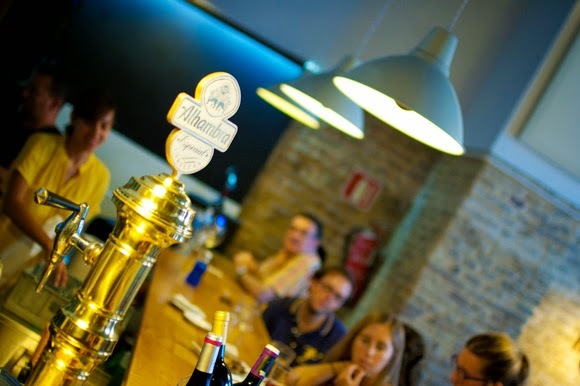 Not much time left, the kitchen was closing soon! 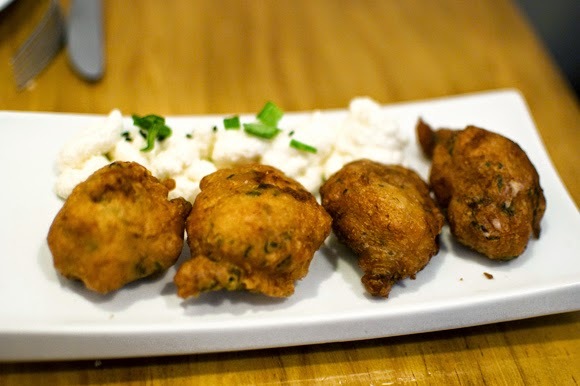 Salt cod fritters & pear ali oli. (Buñuelos). Fabulous hot and crispy with fresh clean soft cod as you bite into the thin batter and a nice little twist with the pear ali oli. These certainly didn't last long. Mini beef burger, yucca chips, soy emulsion. These have been named 'crack burgers' by Shawn Hennessey (Azahar Sevilla). My god she is so right, one is never enough! It might seem strange ordering a burger in Spain but they're actually better than pretty much any burger you can get in the UK. This is because the beef is superior quality in taste and secondly because they don't try and over do it with big daft stupid stacks. 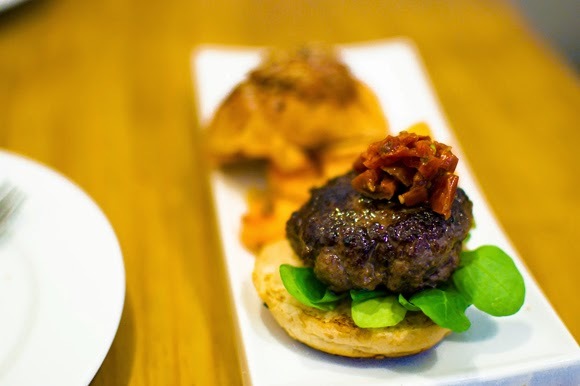 Less is always more and that simple gorgeous meaty taste of soft pink beef as you take a first bite, it's almost impossible not to say 'oh my god! with your mouth full. Last but not least, Foie a la plancha con peras al vino tinto. 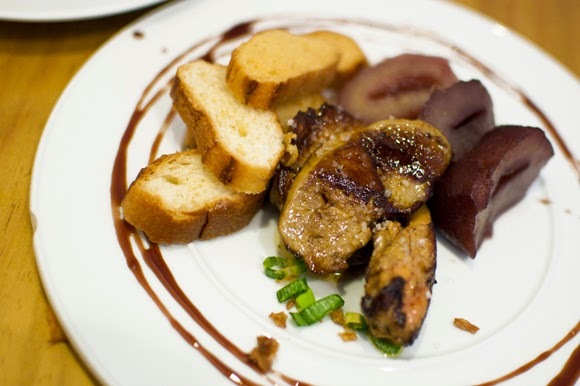 (Grilled foie gras with pears soaked in red wine). One fix is never enough with this either, so this time it was grilled foie. When it's cooked like this, it takes on a warm, rich, velvety almost gelatinous texture. It's like nothing else on earth. It oozes and melts on your tongue. It's almost too much, too rich but not quite. You only need a small amount like this. The pear soaked in wine compliments the foie perfectly. Fabulous! An Evening with the Drunken Butcher. Sunday Dinner at Parlour Chorlton.